So you’re interested in learning how to play fingerstyle guitar. 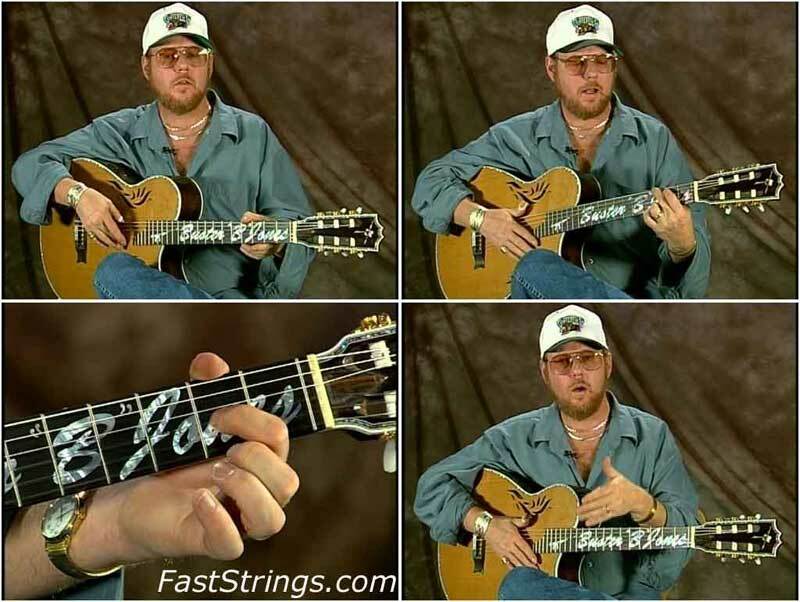 In this lesson Buster B. Jones will take you from the very basics and start you on the road to fingerpicking. Buster’s no nonsense and clear instruction will have you picking melodies in no time. You’ll find phrase by phrase instruction for all the exercises and songs. Split-screen techniques are featured so that you can study and clearly see what each hand is playing. This DVD does exactly as advertised and more. Buster is not only a great guitarist but also a great teacher! Buster B. Jones was a rare bird. He was a fantastic guitar player AND, more importantly, a great teacher. He puts a lie to the “those who can do, those who can’t teach” wisdom. If you want to play guitar this DVD is an excellent place to start. When you get this down he has advanced classes on DVD. For your viewing/listening enjoyment he also cut CD’s and performance DVD’s. This is something that is hard to find. In this lesson he shares that secret of how to become better than good. It can be learned from beginning to advanced players. One thing that may cloud the lesson is that he plays a nylon string guitar using all his fingers. Thanks, all links have now downloaded fine. Download part 3 is only a few kilobytes in size so it looks like the link no longer connects to the actual zip file. Which files are bad? Any errors? Just posting to say that file 3 is still bad. It would be great to get the bad file replaced. However, this site just blows my mind. It is such an amazing resource.